Interested in celebrating St. Patrick’s Day in South Florida? Of course, we are here to help. First, take a look at a quick round-up of some of the fun and festive events in our local area. If you think we have missed a great one, please share it in the comments! 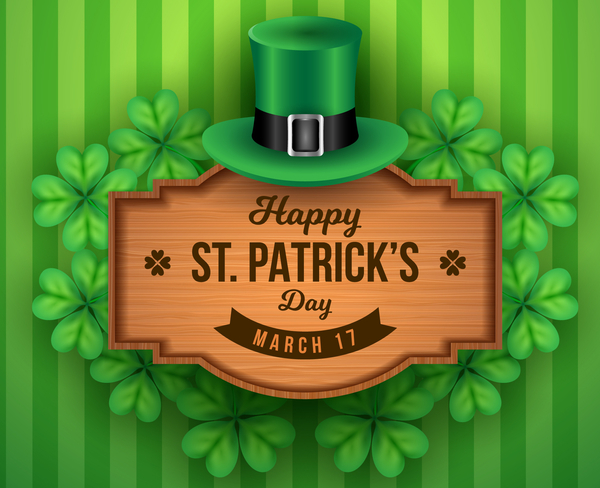 St. Patrick’s day is officially celebrated on March 17th (a Saturday this year), marking the anniversary of the death of St. Patrick. While he was born in Britain, Patrick was eventually taken into slavery and brought to Ireland. In time, he escaped and eventually returned to Ireland where he established churches and schools. Today, it is tradition to celebrate him with feasts and festivals. While some cities celebrated the holiday last weekend; there is no shortage of fun coming up. Take a look at just a few of the events we found happening in Broward this weekend. Finnegan’s Wake, March 16th @ 4:00pm: First, consider visiting Big Dog Station, a sports bar in Oakland Park, for this annual tradition. This dramatically humorous “Irish Wake” will include a hearse and coffin, pall bearers and pipes and drums. Join the entertaining celebration which will feature three bars, Irish food and drink, vendors and much more. Clearly, it promises to be fun! Kilts and Colleens Weekend at the Florida Renaissance Festival, March 17th & 18th: Also, plan to visit this always festive event which this weekend will have an “Irish Twist” in honor of St. Patrick’s Day. As a result, the festival will highlight Celtic traditions and visitors are encouraged to wear their kilts and enjoy the music of bagpipers. Visit their website for additional information. St. Paddy’s Day Bash at Packy’s Sports Bar, March 17th at noon: Stop by this well-known Lighthouse Point fixture and celebrate the holiday! Of course, there will be food and drink and live music all day long. Click here for more information. 3rd Annual St. Patrick’s Day Beer Crawl at Gulfstream Park, March 17th 6:00-10:00pm: Visit Champions Plaza, if you are over age 21, and pick up your passport which entitles you to $2 beers at over places. Conversely, if you don’t drink, don’t worry! There will also be music, entertainment and giveaways. Visit their website for details! St. Patrick’s Day 10K Run at Tradewinds Park, March 17th at 7:00am: This beautiful park is the site of the 23rd Annual St. Patrick’s Day 10K. Details regarding registration are available here. Visit to participate or to cheer on the runners! What a great way to celebrate and sneak in a little exercise! Marina 84’s St. Patrick’s Day Party, March 17th at 8:00pm: Finally, stop by this sports bar and grill in Fort Lauderdale for their epic St. Paddy’s day party. Dress in your finest green outfit and dance the night away. There will food and drink specials as well! Check out their Facebook page for details! Some fabulous holiday events are located a short drive just to our north. Check out a couple of favorites. St. Patrick’s Day Block Party at the Dubliner, March 17th at 11:00am: Make the short drive to Boca Raton and head over to Mizner Park where the Dubliner will be hosting it’s annual block party. Enjoy an Irish buffet, bands and face painting (FYI, this party is kind friendly!!) Who knows, you may even see a leprechaun! Visit their Facebook page for more information! St. Paddy’s Day Party at the Black Rose Irish Pub, March 17 at 11:00am: Boca Raton is home to this fun-filled celebration. Lots of Irish food and Irish beer will be served all day long. Stop by any time. Or wait until the evening when the patio becomes a night club and the holiday is celebrated with Irish dancers, bag pipers and lots of music! Visit their website for details. Delray Beach St. Patrick’s Day Parade and Festival, March 16th and 17th: The festivities begin at a “pre-party” in Old School Square on the 16th. A fun run kicks off the holiday on Saturday at 11:00 followed by their famous parade. Don’t miss it, it’s fun for the whole family. Delray is a fabulous place to spend the day. Details available here. Nothing wrong with heading south to celebrate. Check out some of these holiday events! St. Patrick’s Day Riverside Festival, March 17th: The Wharf Miami is hosting St. Patrick’s Day festival beginning noon on Saturday. This is their first St. Patty’s day celebration and children and dogs on a leash are welcome before sundown. After that, it’s adults only! There will be food, drinks and, of course, great music. Click here for more details. St Patrick’s Day at Wynwood, March 17th at noon: Visit this famous location, check out the art, eat at the food trucks, visit some vendors and have a drink in the pop-up green beer garden. Wynwood is always fun; we know this will be no exception. Details can be found here. Of course, these are only a handful of the fabulous events in Broward, Miami and Palm Beach. St. Patrick’s day is clearly going to be a day of fun! If you’re not up for a big party, consider grabbing dinner at your favorite Irish pub. Corned beef and cabbage and some green beer may be the perfect way to celebrate! Please note, not all of the St. Patrick’s day events we shared are family friendly. We urge you to the visit the websites and make informed decisions. When in doubt, call and ask! Happy St. Patrick’s Day! !